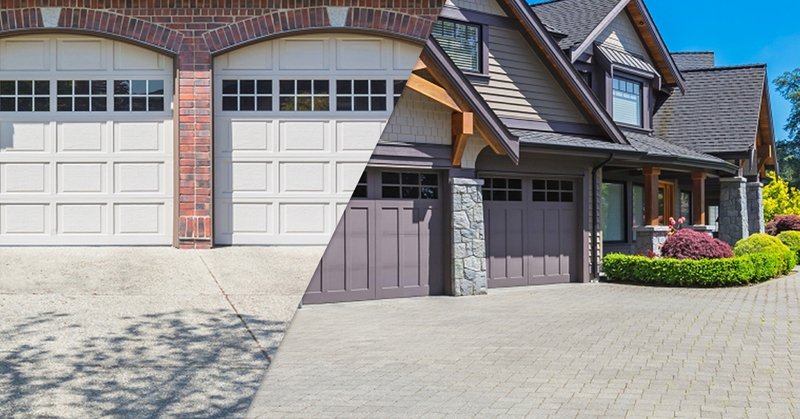 Garage door design has come a long way in the last several years! Today’s garage door designs are more interesting, higher quality, and much more varied so every homeowner is sure to find something that they love within their budget. If you are searching for a new garage door this year, take a look at some of the hottest trends for 2017 and see if any of these could be right for your property! Which Garage Door Design Trends Do You Love? If Mass Garage Doors Expert has to pick one defining trend for garage door design in 2017, it would be windows. Today’s homeowners don’t want their garages to be dark, mysterious places. Instead, they want more windows and bigger windows on their garage doors. This allows natural light to flood the space and can make the garage more usable and friendly. Some homeowners are even opting for garage doors made entirely of frosted glass, giving them light, privacy, and an ultra-modern feel. Ten or twenty years ago, homeowners wanted their garage doors to be as indiscreet as possible. That meant unobtrusive design and colors that were bland or designed to fade into the architecture of the house itself. Today, though, garage doors are being used more and more often as a design centerpiece for a home. Builders and homeowners are using the garage door to make a statement, opting now for bold color options and designs that set the personality of the home. Tech is taking over all areas of our households and the garage is no exception. You’ll be seeing more and more of it in the coming years, too, with garage doors that automatically sense your vehicle, doors that can be opened and closed on your smartphone, and so much more. A lot of these features will be built right into the garage door and won’t be visible to guests and visitors. Wood doors were the most popular option for garage doors for a long time, only to be replaced by fiberglass later on. You’ll be seeing more wood garage doors again in 2017, though. The material is part of the growing trend of combining man-made materials like concrete and steel with natural materials like wood in the home. Wooden garage doors offer a special kind of warmth in a home’s appearance and can be incredibly energy efficient. Homeowners are making more use of their garages aside from simply a place to store their garden tools and park their car. They might use the garage as a workshop or even an outdoor play area for their children. Because of this, homeowners in 2017 are wanting a garage that’s comfortable in all seasons. You’ll see this accomplished with more insulated garage door designs that keep garages warmer in the winter, as well as garage-wide screen doors that allow air flow but keep out pests in the summer. Are you looking for a new garage door for your home this year? Take to the Mass Garage Doors Expert and we’ll help you find the right door for your home at the right price. Get in touch with us today!